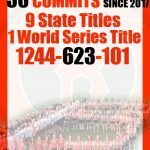 Coming off a very successful 2018 year, a year in which the Birmingham Giants posted a 342-188-25 mark, notching numerous tournament wins, and wins over notable programs around the southeast. 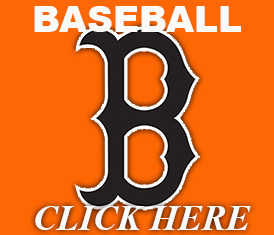 Moving into their 10th year of play, the Birmingham Giants have an overall mark of 1160-602-72, and an impressive 30 players that have committed to play at the collegiate level. For the 2019 year, Birmingham Giants teams are again gearing to another successful campaign with the usual focus on development that has enabled the club to continue to produce great players, giving them a chance to play at all levels of the game through out the club. 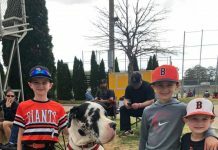 New Birmingham Giants coach Trey Parker brings an impressive group of young 7u Baseball players to the field in Giants orange and black, backed by a well experienced coaching staff (2 World Series Titles) that will ensure the development of the young 7u team into a seasoned Giants powerhouse. 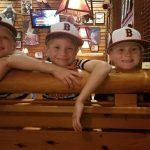 Aiden Alexander, Brayden Helms, Braylen Parker, Brons Anderson Jr., Camden Buford, Luke Francis, Tanner Egan, Wiley Swndele, Will Shoults, Landon Coleman, Wesley Mullins, and Easton Scott bring a great work ethic and attitude that will ensure success on and off the field for the 7u Birmingham Giants in their first full season of play. 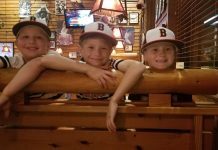 Head Coach Corey Massey returns with his 8u team that in the fall season posted a 13-3 and a 58-7 mark for the 2018 year with 2 State Championships and a World Series win. With a team rounded out with players like Brody Flack (2018 Under 10 Player of the Year), John Bryant Fowler (Most Improved Offensively 2018), Zander Leamon (Most Improved Defensively 2018), Lucas Busby, Aaron Robinson, Ross Christy, Kameron Laws and Tyson Latham, Cohen Thompson and John Gregory the Giants should be able to continue the on the field success. 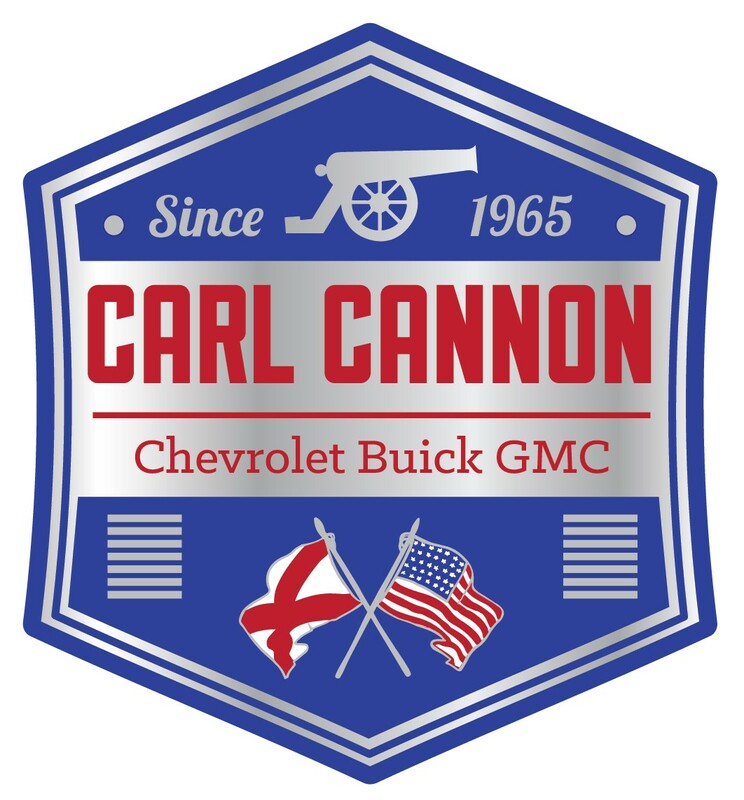 New comer Head Coach Chris Carroll bring an 8u team that produced a 20-6 record in the fall, winning 3 of the 6 championship games they appeared in. 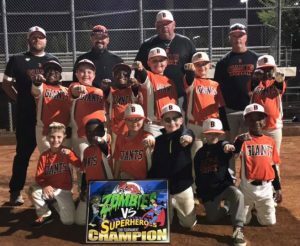 With a few new additions to an already excellent roster, the 8u Birmingham Giants head into the spring season with the ability to surpass the success from the fall. 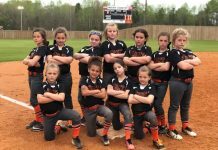 Abigail Erreca, Addison Bailey, Addison Praytor, Haylee Gothard, Kandall Burch, Khloe Kennedy, Kira Vines, Natalia Mathews, Skylan Dyson, Sophia Carroll, and Mackenzie Sansing lead the new 8u Birmingham Giants on to the field for their spring 2019 campaign. 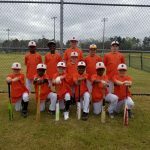 Head Coach Steven Rowe returns a Birmingham Giants 10u team that posted a 15-1 mark in the fall and finishing the year with a 46-17-1 mark, with notable wins over the Vipers, Bolts, prospects, and mustangs amongst others. The team returns 9 game winner Kaydence Hays, Aubrey Liveoak (.565 Avg), Piper Rowe (.414 Avg), Ryliegh Hall (.320 Avg), Ava Brand (.313 Avg), Chloe Condray (.304 Avg), Hailey Nichols (.360 Avg) and Jamie Hugley (.300 Avg) and new comers Cecily Johnson, Emily Vorster, and Hadley Williams. 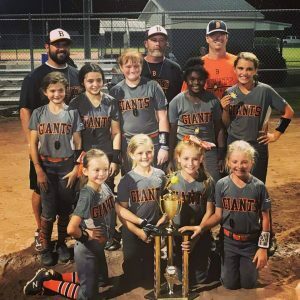 Coaches Wes Liveoak and Eric Brand round out the coaching staff that has helped to develop the 10u Birmingham Giants into the successful team it has become. 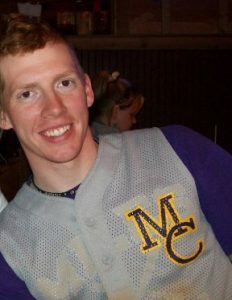 Head Coach Nick Stone during playing days at Miles College. 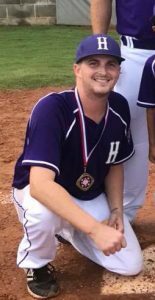 Nick Stone (Miles College) returns to the helm of the BPA State Champion 11/12u baseball team this spring after posting a 12-5 mark in the fall. 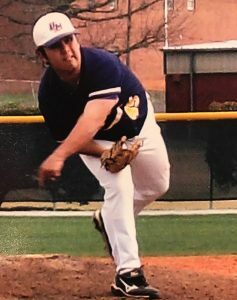 Adding to the coaching staff this season, the Giants have added Mitch Holcombe(Univ of Montevallo) to the staff to enhance an already strong team that has continued to develop into a formidable opponent for anyone. 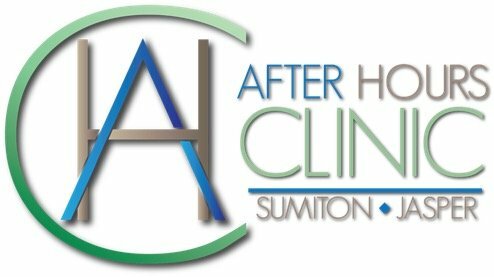 Returning the entire team, including 5 game winner Talon Whetstone, and 3 game winners Aubrey Sanders and Brody Jackson, the teams power sources and speed has returned as well in the form of Chris Jackson, Cole Foster, and Cayden Night and Weston Burnett, and on the base paths Parker Stewart, Devin Schmalz, Cayden Woods, Olin Bryant and Gabriel Jennings will help lead the 11/12 Giants to continued success. Head Coach Kelsey Lankford (Bevill State) and New Assistant Coach SarahShook (Snead State) return their entire roster while adding a few key components to it to round out an 07 team that is headed for a successful spring after posting a 12-6-1 mark this fall. 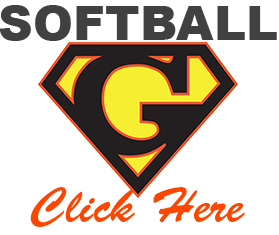 Returning players like Sophie Gromko (10 and under Player of the Year 2018), 4 game winner Lilly Randolph, and 2 game winner Anna Lee Price, along with Mary Beth Glen (.414 Avg), Michaela Sweet (.435 Avg), and Savanah Cannon (.302 Avg) along with new comers Anna Gregory, Lanie Otwell, Morgan Echols, Sarah Beth Gill, and Jessi Padgett round out a strong lineup heading into the Spring season. Head Coach Kevin Hudgins returns his full squad of 10 from a team that turned in a 16-3 mark in the fall, and a 39-16 record in 2018. 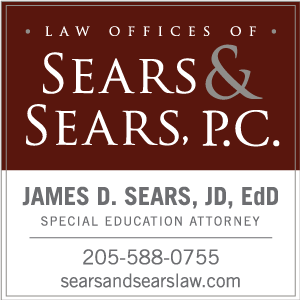 Highlighted by the return of Max Hollingsworth (8-3 60 K’s) Cayden Cain (7-3 57 K’s), Alex Guthrie (2-1), Daniel Stringfellow (2-1) and Alex Reynolds (19 Innings, 18K’s) and offensive threats Hoss Bensko (.590 1 HR), Caden Cain (.567 3 HR), Kolton Hudgins (.387), and Trevor Cox (.360) and new comer Kerrington Daniels the 12u Birmingham Giants are positioned to again be a difficult team to beat. 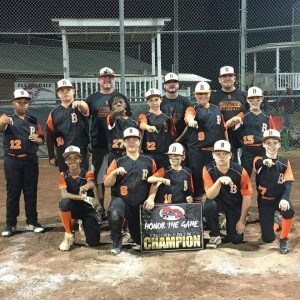 The Newly formed 13u Birmingham Giants baseball team will start play in the spring of 2019 with a few current Giants ( Brock Posey.400, Aiden Richey .400, and Trent Mays .300)and some new faces Dawson Shoults, Dallas Beck, Braylen Hudson, Hayden Dupree, John Lawrence, Davis Cruce, Will Mize and Aiden Agee, and Anderson McBride round out a very athletic team. 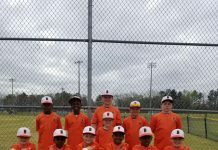 Coaches Mitch Allen (JSU) and Mikey McGuire (Univ of Dubuque) lead the 8-8 14u Birmingham Giants squad back from the fall in to the summer season. 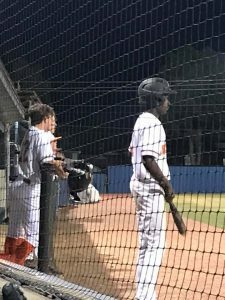 Returning pitchers Ashton Woods (2-0), Gavin Clanton (2-1), Dakota Cobb (1-0), Mitt Landers , Mason Ray (1-1), JB Landrum (1-1) and Jacob Isom, along with new comers Fletcher Grant, Zack Egan and the return of Aiden Latham bolster a pitching staff that will lead the Giants past the .500 mark this summer. 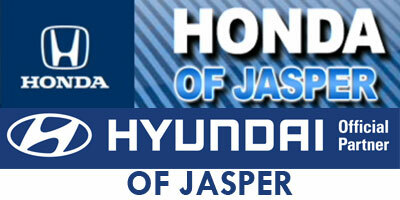 Chase Jones (.417), CJ Okon (.333), and Will Allen (.308) round out a developing potent line up that will produce runs. 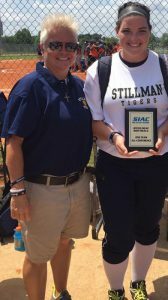 Head Coach Stephanie Applegate, and Chris Faircloth are joined this summer by former Stillman College Coach Dana Mullenix, who will serve as an assistant coach and the 04 Giants recruiting Coordinator. 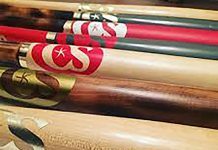 With her entire squad returning, along with a couple of new players, the Giants 04 look to build on their 30-15-3 mark of the summer and fall campaigns. 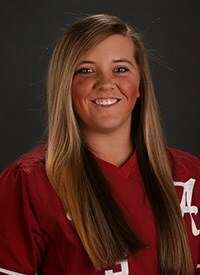 Trinity Britnell (6-2), Alyssa Faircloth (2-0) and Kaylee Harris (2-2), anchor a strong pitching staff, and offensively Kalea Hewitt (.361 1 HR), Morgan Rice (.343), Nattie Miles (.366), and Sarah Williams (.294) along with 2 late season call ups Ella Morgan Sears (2018 Pre Showcase Player of the Year, .364) and Katelyn George (.360) and new comer Mary Grace Sizemore round out a Giants line up that should be set to score runs. 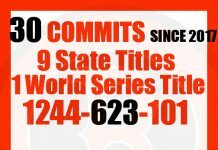 With their team mark at 160-62-10 alltime, the 15u Birmingham Giants make the full transition to a full showcase schedule as the head into the summer 2019 season. 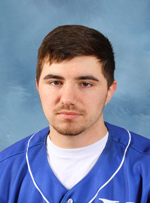 The hallmark of the great track record of this team is the pitching staff, which in 2019 returns Andrew Kellum ( 10-5 Mark in 2018), Jarod Latta (Giants alltime strike out leader 257), Sylas Amick , Bryant Akeridge (1-0), Alex Bradford (1-1), Mason Mullaney (Stranded 9 of 11 inherited runners), and Tyler Ingle (3-1) and the return of Egan Lowery from injury. 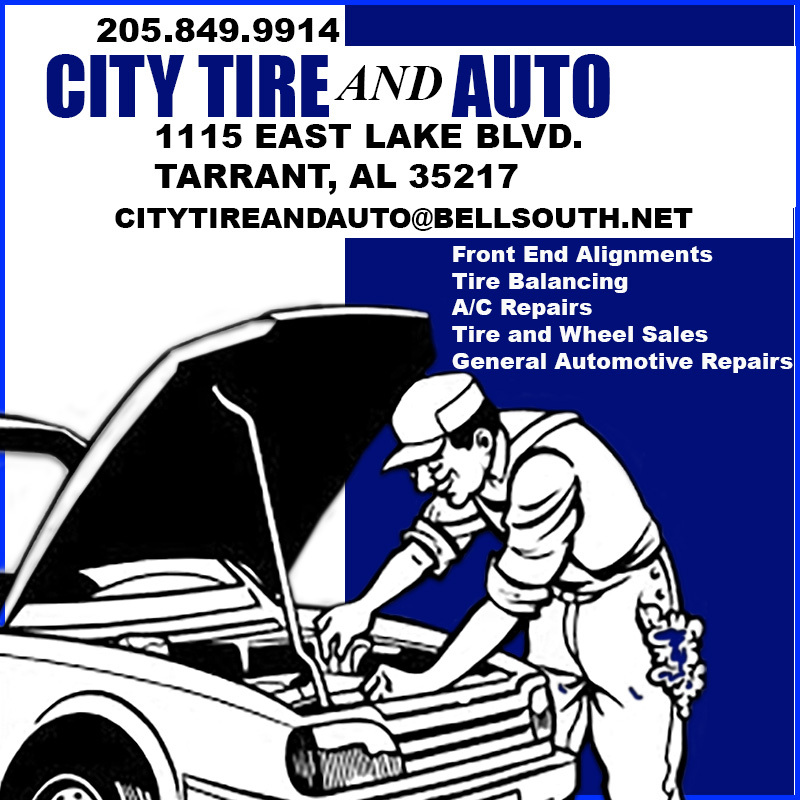 At the plate Tyler Ingle (.500), Alex Bradford (.429), Alex Drake (.357), Andrew Kellum (.320), Bryant Akeridge (.353), Cameron Harris (.348), Jarod Latta (.333), Kevin Hurley (.308), Mason Mullaney (.450) and Sylas Amick (.417) round out a returning lineup, with new comers Jack Allison and Gray Doster joining a already potent lineup. Head Coaches and Recruiting Coordinators, Peyton Grantham (Univ. 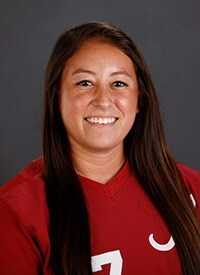 Alabama), and Alexis Osorio (Univ. 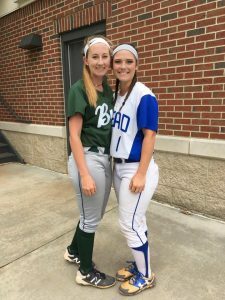 Alabama) and Ashliegh Short (Shelton State) lead 2 16u teams that posted a that posted a 16-8-4 record in the fall season. Returning pitchers Ka’Mya Hampton ( 7-2), Courtney Hainey (2-1) Emily Jones, and Neci King anchor a pitching staff of both 16u teams that also include new comers Emma Fields and Alexis Riddle. 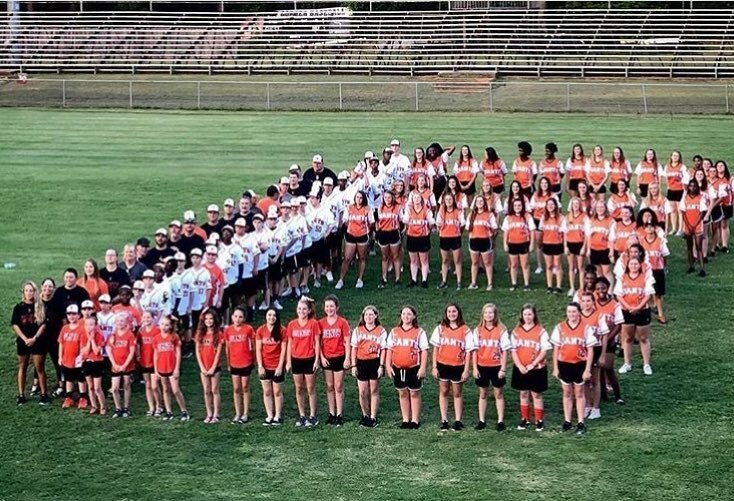 Offensively the Giants All Time Home Run Leader Ka’Mya Hampton (16) and Lauren Dill (12), Anna Jones (1 HR), Neci King (1 HR), Courtney Hainey (1 HR), Kaitlynn Lankford (.402), Reese Lowery (.383), Piper Lowery (.351)and Emily Jones (.302). 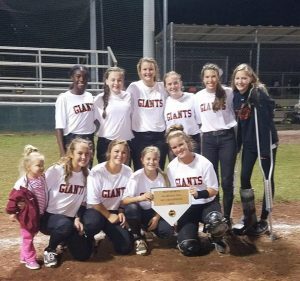 Ali King (2HR 2015 Giants), Emily Hyche, Kaley Fuller, Lindsey Stinson, Lilly Werling, Emma Fields, Alexis Riddle, Krystin Borden, Sara Kate Nichols, Meagan Echols, Caroline Willis, and Leah Handley round out what will be a very successful group.